Welcome to the Senior Psychiatrists! Senior Psychiatrists, Inc., founded in 2012, is an outgrowth of the American Psychiatric Association (APA) "Lifers." Prior to 2012, the “Lifers were managed by the APA Foundation. Today, the Senior Psychistrists, Inc. is an “Allied Organization” to APA and has representation in the APA Assembly. 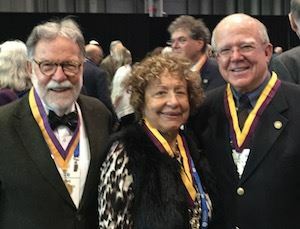 Membership in the Senior Psychiatrists, Inc. is open to any member of the American Psychiatric Association who is a Life Member, Life Fellow, or Life Distinguished Fellow. 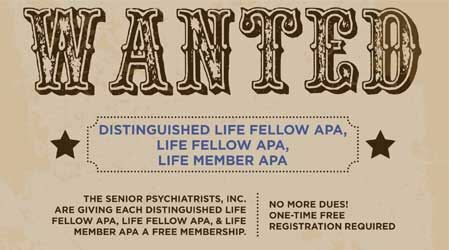 There are potentially approximately 8,000 members of APA who have Life status, and this represents about 20% of the APA membership. The organization is now poised for growth and has put the infrastructure in place to reach out it expanding potential membership base. For more information, see our About Us page. Special Thanks to All of our Donors! Senior Psychiatrists appreciate donations of any amount. As the organization is a 501(3), all donations are fully tax deductible. We offer special recognition for donors at the $100 level and up. 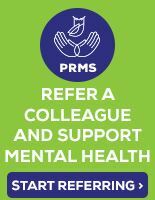 Senior Psychiatrists is proud to have PRMS once again as their Signature Sponsor for 2019. 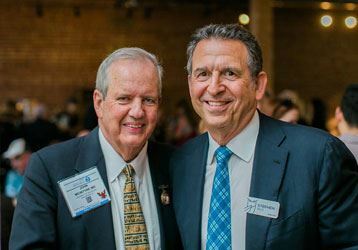 Pictured is Senior Psychiatrists President Dr. Jack McIntyre with PRMS CEO Stephen Sills at our 2016 reception in Atlanta. 2018 Berson Award Recipient Announced! 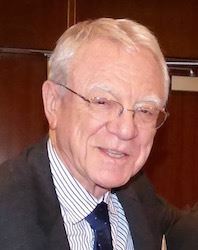 Herb Pardes, MD (pictured right) is the recipient of the 2018 Berson Award. Click here to read his introduction at the APA Annual Meeting.